Gear oils are lubricants made specifically for transmissions, transfer cases, and differentials within vehicles and other machinery. Gear oils have a higher viscosity to better protect the gears and usually give off a strong sulfur smell. The high viscosity ensures transfer of lubricant throughout the gear train. Most lubricants for manual gearboxes and differentials contain extreme pressure and antiwear additives to cope with the sliding action of hypoid bevel gears. 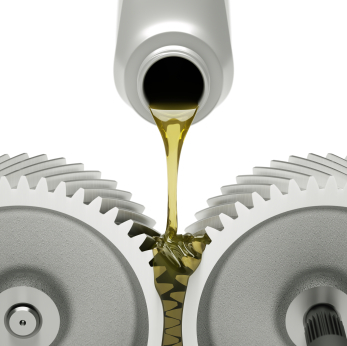 API viscosity ratings for gear oils are different from API motor oil viscosity ratings. This is partly due to the fact that gear oils typically do not reach the same temperatures a motor oil would reach. PhosLube Petroleum Laboratories specialize in lubricant oils analysis and gear oil testing.